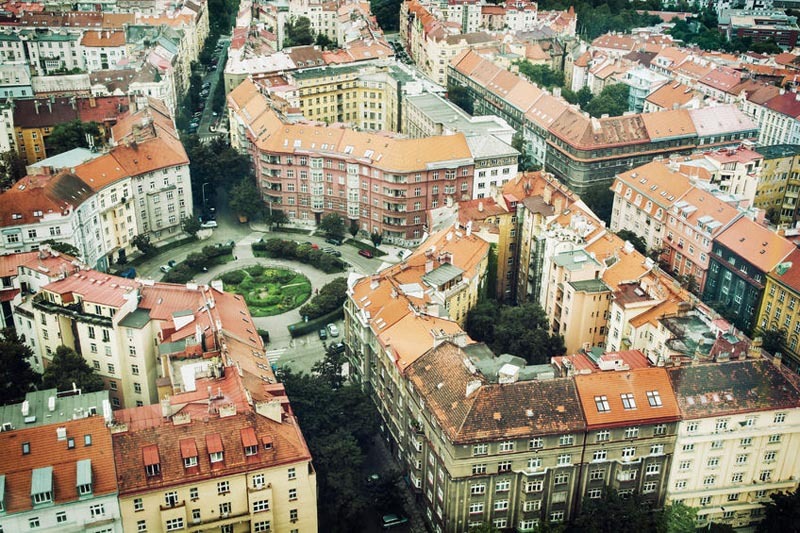 Zizkov has long been a favorite haunt of students, artists and musicians. As you walk through its streets, you will find no shortage of quirky cafes, delightfully shady watering holes and edgy art galleries. Although many of its streets and buildings have a somewhat neglected and shabby feel, it won’t take long for you to be mesmerised by the cheeky, rebellious charms of this area. The centre of town can often feel like an over-priced, manufactured playground for tourists and if you want to get away from all of that, you’re not going to do much better than Zizkov. BEER Take a trip into the cellar and enjoy the exposed brick work, eccentric furnishings and cosy atmosphere of U Habasku. This pub is very popular with locals and serves a range of beers from Czech breweries. 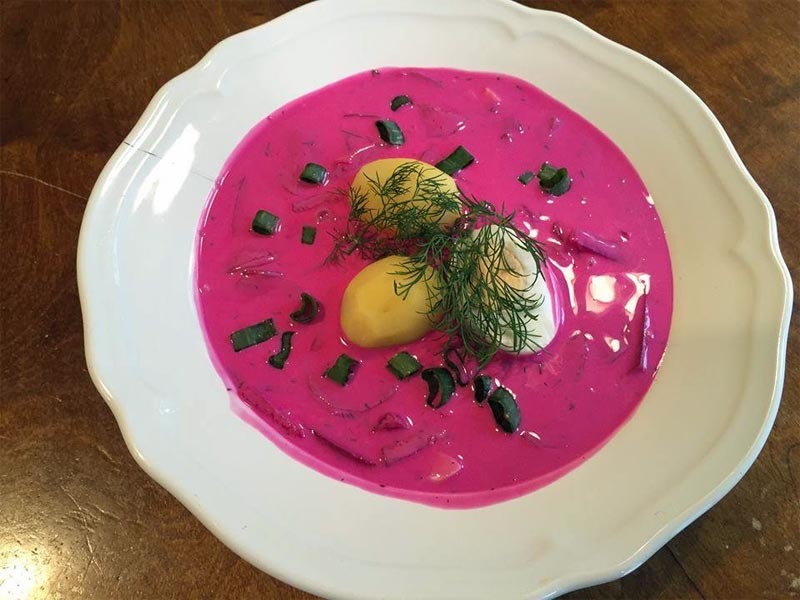 You will also find a selection of traditional Czech side dishes to be served alongside beer. These include homemade pickled cheeses and sausages straight from the grill. This is a pub that you will want to return to night after night. BEER U Vystrelenyho Oka is a dark and smoky gem. With its roaring fireplace, it is perfect for cold wintery nights and during the summer months, you will find a grill outside on the terrace. This is another favorite with locals and boasts a lively and bustling atmosphere in the evenings. The beer is cheap and cold and the staff are welcoming. COCKTAILS The interior of Bukowski’s bar is at the same time elegant, charming and just a little bit shabby. This pub’s warm and cosy vibe will make it difficult to leave after just one drink. 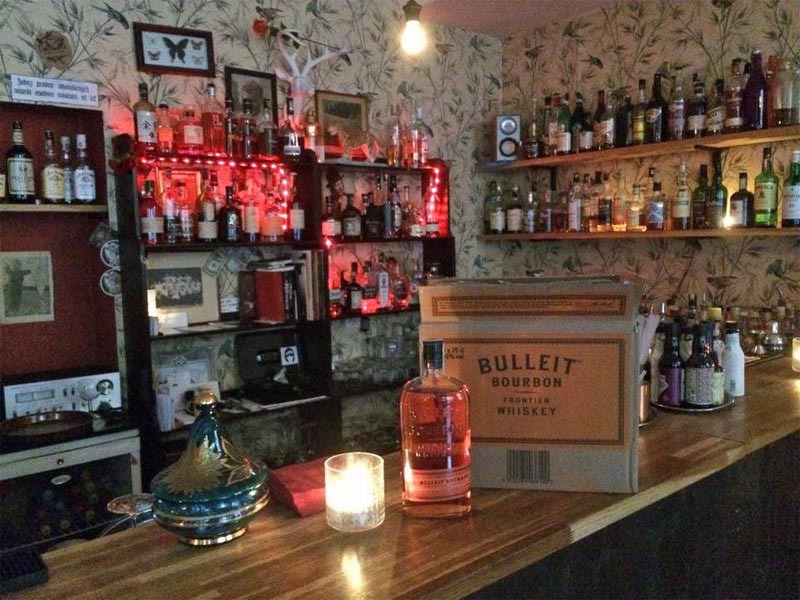 For those of you who are craving something a little different than just the standard beer, Bukowski’s offers arguably the best cocktails in Zizkov alongside locally brewed beer. BEER Just a hop, skip and a jump away from the TV Tower, this pub is a huge favorite amongst tourists and locals alike. It is a must for beer connoisseurs, with 10 different beers on tap, in addition to a wide range of speciality bottled beers. The best way to describe the interior décor would be eccentric. After all, who’s to say that chairs can’t be on the ceiling? U Sadu is the perfect place to warm up on cold, winter days but also has a small terrace for the summer months. REGGAE Jah Koko and Kenny’s Island Music Club is a bar that you will not find in any guide books but is one not to be missed if you enjoy a place with a mellow and relaxed vibe. It boasts cheap drinks, big squishy sofas and flexible opening hours. The general policy is that the doors close when the last customers leave. As night falls, Kenny’s Island becomes a music venue. You will find live DJs and funky reggae beats. COCKTAILS Malkovich’s is a place to relax and unwind. You will find a mixed and friendly crowd including tourists, locals, expats and tourists. 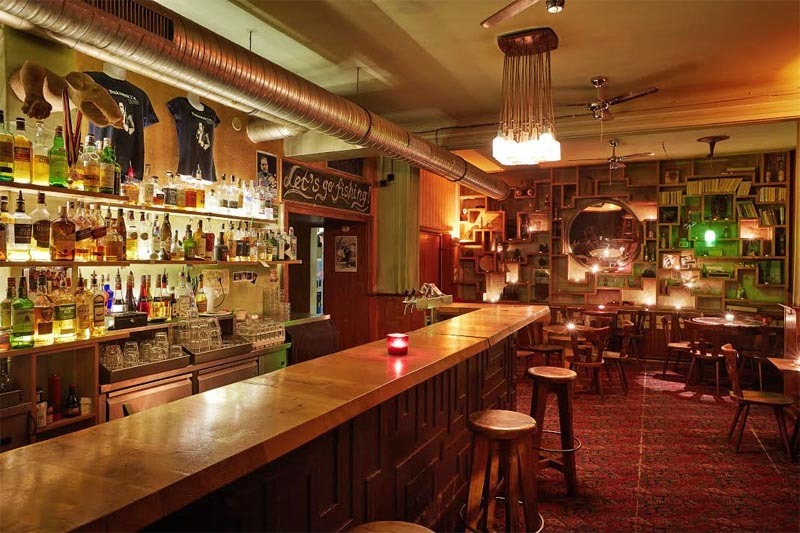 The interior décor has retro and mismatched vibe and it is a great place to sit down and have a good conversation, there is even a selection of games behind the bar. The bar is famous for its eclectic selection of cocktails and it is probably a place that you will struggle to leave. If you take a brisk stroll to the sumit of Vitkov Hill, you will be rewarded with some beautiful views of the city, but this is not all. Once you have made it to the top it is difficult to miss the giant bronze statue of a man riding a horse. This statue is the third largest equestrian statue in the world and is really quite impressive when seen up close. The man on the horse is the legendary Jan Zizka, after whom the area of Zizkov is named. This staute was built in honour of his defeat over Emperor Sigismund in 1420. Although Zizka’s forces were ludicrously outnumbered in this battle by around 10-1, his tenacity on the battle field still won victory for him and his men. Just underneath this statue you will find the Tomb of the Unknown Soldier, which contains unidentified remains of Czechoslovak soldiers, who fought during WWI and WWII. Today it is a place where people come to give thanks to those who gave their lives fighting for freedom and liberation. 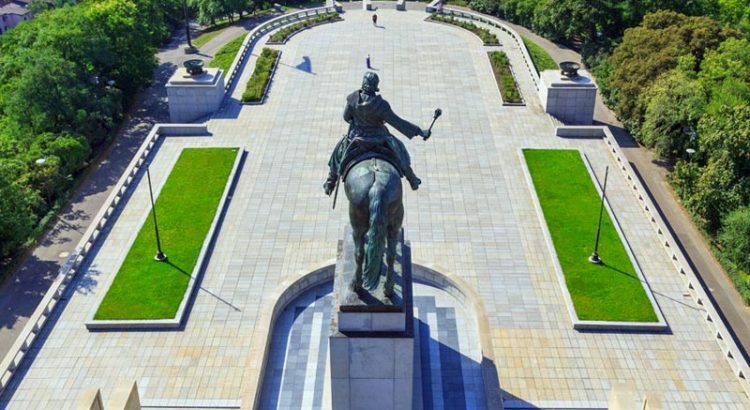 The Tomb of the Unknown Soldier and the Statue of Jan Zizka make up just part of the National Monument. 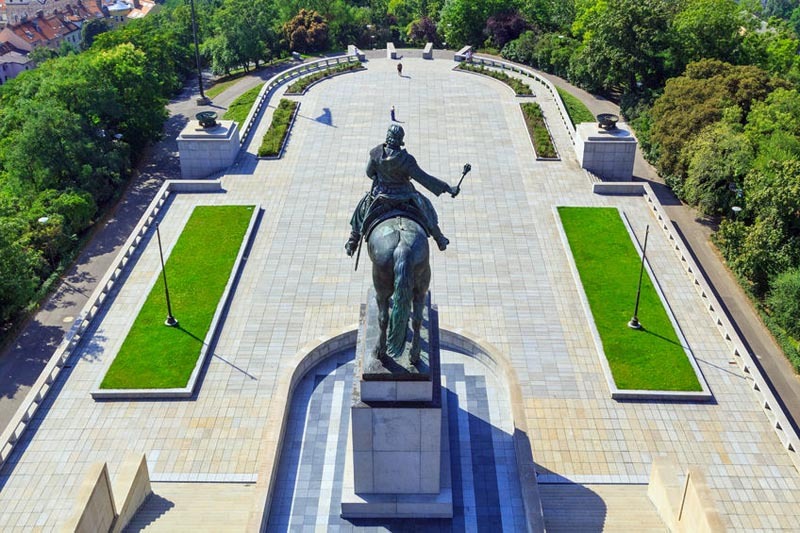 The Czech Republic is a country with a rich and fascinating history and in the central hall of the monument, you can find out more about some of the 20th century’s more pivotal moments. In the basement, you can even view the machines which were used by the Soviets during their failed attempts to preserve the remains of Klement Gottwald, former leader of the Communist party. 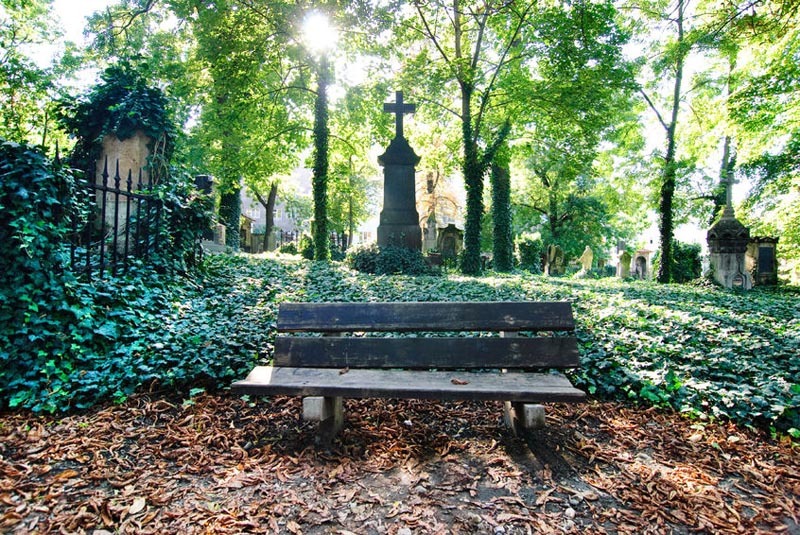 To spend the afternoon strolling through a cemetery may sound like a somewhat morbid pastime, but trust me when I tell you that no trip to Zizkov would be compete without exploring Olsanske Hrbitovy, the city’s largest cemetery. You will find grand family crypts and art noveau masterpieces alongside neglected headstones and crumbling tombs. This is place where you will always be surrounded by the beautiful and the intriguing. The cemetery’s most famous resident is probably Jan Palach, a student who set himself a light on Wenceslas Square to protest against Soviet invasion of Czechoslovakia in 1968. No tour of Zizkov is complete until you’ve taken a close up look at Prague’s tallest building. The TV tower is a whopping 216 meters tall and is even more eye-catching thanks to the giant faceless babies which crawl up and down it (courtesy of ex Zizkov resident and internationally renowned sculptor, David Cerny). However, once you’re here it’s possible to do much more than simply look at the tower. From December to March, you will find a 30 x 14 meters skating rink open every day at the base of the tower. It is possible to rent skates here and there is also an outdoor bar serving a range of hot drinks and snacks. To learn more about other ice skating options in Prague see our full article 15 Best Ice Skating Rinks in Prague 2017. CAFÉ The Zizkavarna is reputed to serve the best breakfast in Prague. It also boasts excellent coffee, cakes and local beer. 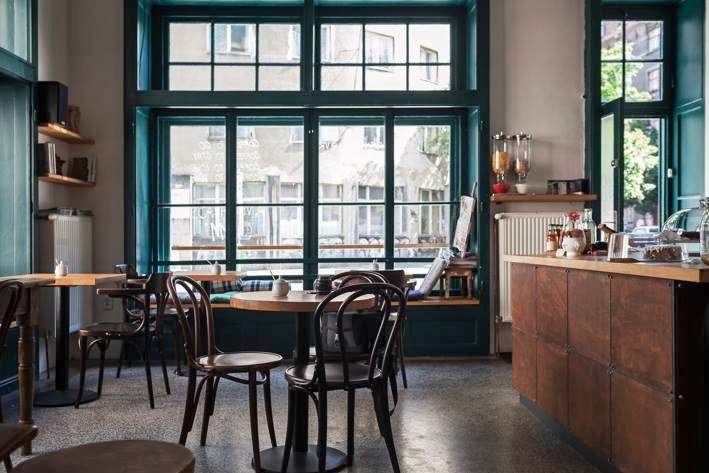 This delightfully small and cosy café is the perfect place to spend a relaxed few hours. CZECH FOOD U Slovanske Lipy claims to be the oldest restaurant/pub in Zizkov and is definitely worth a visit for both its beer and its food. It has up to 8 beers on tap and although they often rotate, you are always sure to be choosing from some of the area’s best microbreweries. The food is also excellent and if you’re looking to sample some authentically Czech but reasonably priced meals, this is the place to come. BAKERY This is a café/bakery with a difference. Here you can choose from a delicious range of breads and cakes, all of which are made on the premises and in front of your own eyes. Everything at the Antoninovo Pekarstvi is made using traditional techniques; jut the same as it would have been a hundred years ago. It is also possible to purchase freshly made soup and coffee, all at reasonable prices. BISTRO If you are tired of a Czech food or fancy restaurants with average food quality, you should try one of the bistros in Prague. Martin runs a small bistro at Zizkov and for a reasonable price you can get a here a top-notch food. Menu is often changing and usually offers only around 8 options, but you can count on the fresh ingredients and amazing taste. Bistro is quite small and very popular, so it’s a good idea to reserve a table by calling to +420 774 100 378. CAFÉ This is one of the best places in Prague to have breakfast, especially if you have been at the party on Saturday night as they are opening from 11 am on Sunday. Quite a small café is run by three friends and offers very friendly and unique atmosphere. You really feel like almost like home. Besides delicious breakfasts these guys also have a great coffee. CAFÉ On Jiriho z Podebrad square, you will find Le Caveau. This charming and elegant french-style café serves a wide range of snacks, drinks and of course, it has an extensive wine list. It’s a great place to come for breakfast and all cakes served here are made freshly on the premises. 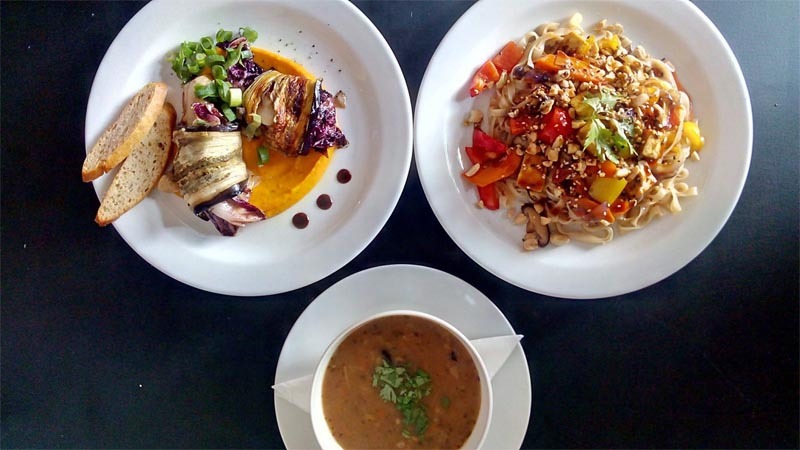 VEGAN Eat with a conscience at Incruenti, without compromising on taste or quality. This restaurant is completely vegan, with most of its dishes being inspired by Mediterranean cuisine. But we guarantee you will love their food even if you are pure meat eater. The restaurant has a “zero waste” policy, meaning that next to nothing thrown away. The restaurant makes its own pasta, bread and vegan cheese and is definitely worth a visit whether or not you are a vegan. KOREAN This small Restaurant serves authentic South Korean style food and its a perfect example of so called hidden gem. All dishes are freshly prepared and are always prepared using authentic Korean ingredients. The food you will be served at Bibimbap is just the same as you would taste on the streets of South Korea. Today his dream is a reality. 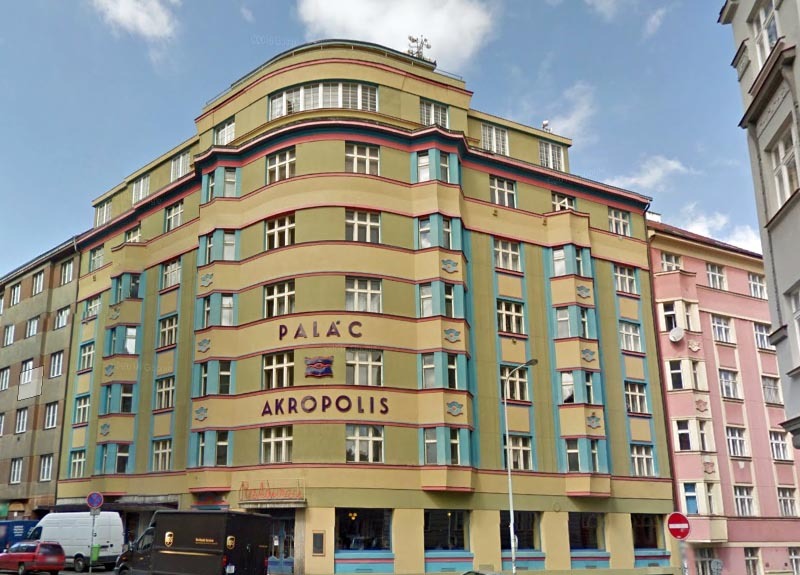 The Akropolis is a night club, concert venue, theater, exhibition space, café and restaurant. Both Czech and international artists regularly perform here so it’s worthwhile checking out their website to see exactly what’s coming up.